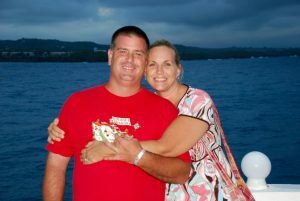 Willing Servant Ministries is a non-profit 501c3 organization established by Rob and Tina Iannone to carry out the mission that God has called them to in the Dominican Republic. In 2002, a missionary from Papua, New Guinea came to speak at our church and after hearing her stories and testimonies, Tina and I looked at each other at the same time and said, “ I could do that “. Shortly after, our church had a Ministry Fair where a missions table was set up by Ren Bruning with pictures of little children from Haiti that needed to be sponsored so that they could have an opportunity of an education. We sensed a need to choose one little girl to sponsor and her name was Judith Yules. We prayed for Judith that God would touch her life and little did we know that God would use her to touch our lives. In January of 2004, Ren Bruning came to us and said “we are going to Haiti this summer, you should go ”. After praying about this opportunity we thought it would be nice to meet the little girl we were sponsoring, so we signed up. The summer of 2004 was one filled with turmoil in Haiti so our missions trip was redirected to the Dominican Republic. That was our first missions experience. The trip was a wake up call for us as to how a lot of people in this world are suffering and in need of someone to help meet their physical, emotional and spiritual needs. After returning home, we tried to go about our daily lives, but we were struggling inside. For weeks we struggled with an inner feeling that something in our lives was suppose to be different. Before our missions experience we were serving in many ministries at our church and we were happy being involved in all of them but we soon sensed God calling us to head up the Missions Ministry at our Church. From 2004 to 2007 we led six mission teams on one week mission trips to the Dominican Republic. We also have been on three missions trips of two weeks stays, just the two of us. It was during these trips that God confirmed in our hearts that He wanted us to serve full-time in the Dominican Republic. Each time we have grown spiritually from the experiences as well as made many friendships and built many relationships with the local people. God opened doors to accomplish His will for us in the Dominican Republic, to serve Him faithfully by loving and caring for His people through personal relationships, medical care, and leading mission teams. We asked God “ God, what do we have to offer you except that we are willing to serve and follow your calling for our lives “. He answered, “ that is all I need“! We have been serving full – time on the North Coast of the Dominican Republic since August 2007. We host Mission teams and have a medical clinic serving the poor. God continues to bless people physically, emotionally, and spiritually through this ministry!